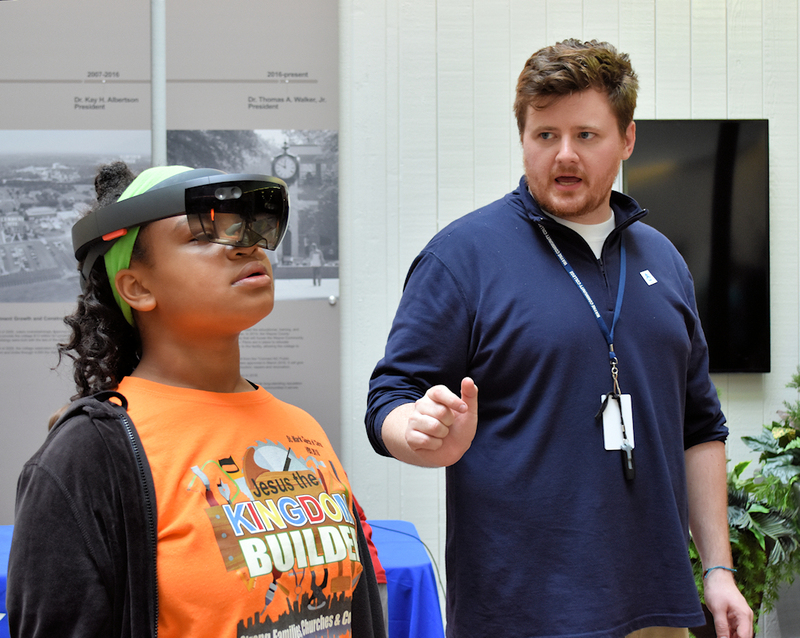 Thomas Hopfer, a Wayne Community College Simulation and Game Development instructor, explains the virtual reality technology that Miriam Ward, age 11, is experiencing at the college’s Homegrown Science in NC celebration Saturday and how the industry is growing in this state. 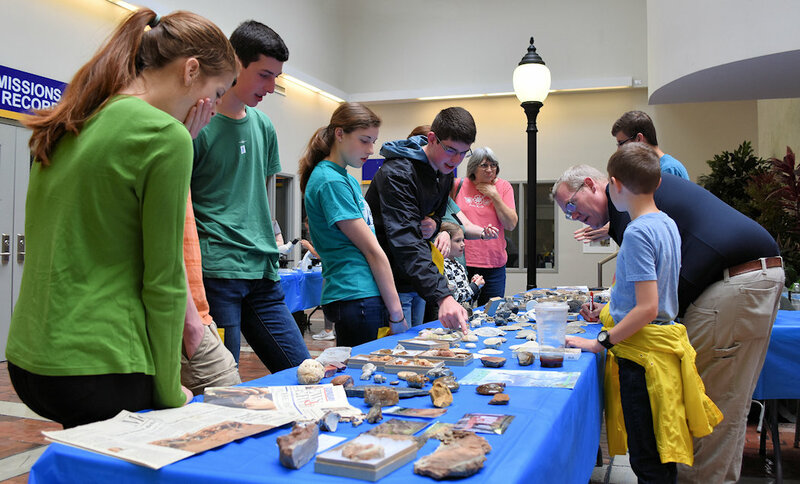 Douglas Hill (second from right) of the NC Fossil Club talks about his array of fossils and fossil-hunting opportunities in North Carolina with visitors to Saturday’s Homegrown Science in NC celebration. Elijah’s mother, Maegen Wilson, was pleased with the way the activities were conducted. “Eli has dyslexia and the hands-on learning is so helpful for him,” she said. 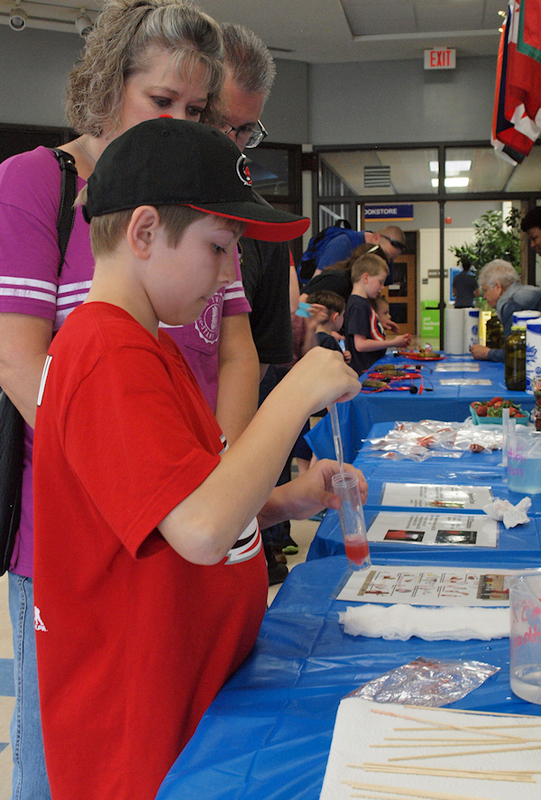 While his parents Katina and Mike Davis observe, Brayden Davis, age 10, tries his hand at extracting DNA from a locally grown strawberry. The Davis family was enjoying the Homegrown Science in NC celebration. 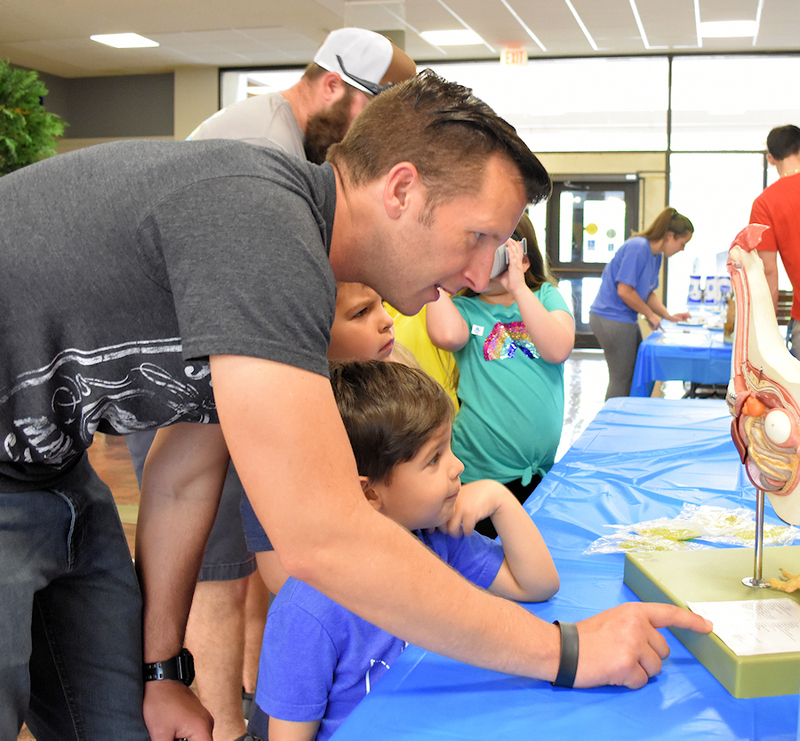 Jeremy Volz and sons Jeremiah, age 6, and Jamison, age 4, discuss a display of hen anatomy and egg production at the Homegrown Science in NC celebration. 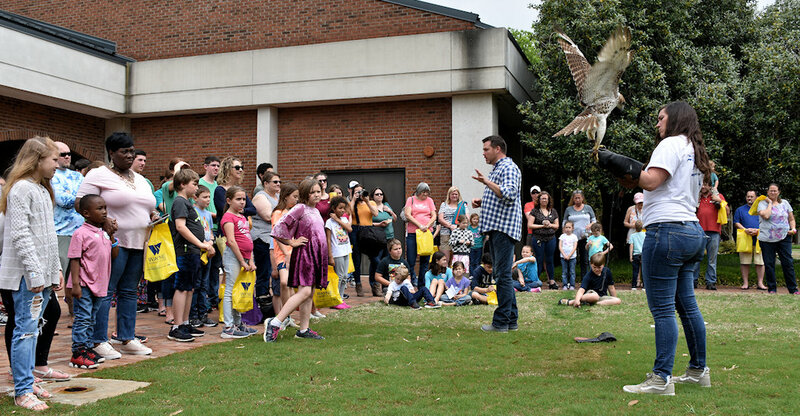 The NC Science Festival is presented by the Biogen Foundation and produced by Morehead Planetarium and Science Center at the University of North Carolina at Chapel Hill. For more information, visit www.ncsciencefestival.org.